What's the cure for hangovers? Posted in Health & Wellness on December 25, 2011 by FloridaHealth.com staff. Last modified on December 02, 2018. Read disclaimer. So, after 12,000 years of alcohol-induced headaches, nausea, exhaustion and bedspins, what have we learned about hangovers? Alcohol is a diuretic; it stimulates the body to urinate. As a result of alcohol over-consumption, excess urination can lead to dehydration and electrical imbalance. Alcohol is a stomach and intestinal irritant; it can inflame the stomach lining, causing us to feel unsettled. Alcohol alters the function of our liver and other organs in such a way that lactic acid build ups and blood sugar levels drop. This is one reason why diabetics are especially sensitive to alcohol. Even though alcohol makes us drowsy, the resulting sleep is often shorter and less sound (less time spent in the REM/rapid eye movement stage of sleep). Also, because throat muscles become over-relaxed, snoring often results, which makes our breathing less efficient. Alcohol causes our body temperature to fluctuate; lowering our temperature during intoxication and raising it during a hangover. Alcohol causes numerous changes in the production of important hormones. Chronic alcohol abuse or frequent alcohol binging may contribute to cirrhosis (liver damage), pancreatitis (chronic inflammation of the pancreas) and various types of cancers. Women should never drink alcohol when pregnant. It's been shown to produce Fetal Alcohol Syndrome in a small number of children. Why are hangovers worse for some than others? Genetics: At one stage in the metabolism process, a certain enzyme converts alcohol into acetaldehyde - a potential toxin. Unfortunately, some of us (particularly people of Native American or East Asian decent) tend to accumulate rather than quickly process acetaldehyde. This may explain why some people experience a hangover after just a few drinks. The type of alcoholic beverage matters: Drinks that are more pure in alcohol such as gin and vodka are less likely to cause hangovers than are whiskey, brandy, or red wine - all of which are higher in "congeners," such as methanol. Congeners occur either naturally during fermentation or are added for taste, appearance or smell and they appear to play a strong role in contributing to hangovers. This may be why white wine has less of an after effect than red wine, for some people. Gender: The National Institute on Alcohol Abuse and Alcoholism says that, as a rule, 1 drink for a woman is the equivalent to 2 drinks for a man. So the same amount of alcohol can hit a woman twice as hard. Personality types: Some evidence indicates that persons who battle with anger, defensiveness and guilt are more susceptible to suffering hangover symptoms. What's the cure for a hangover? Drink one glass of non-alcoholic beverages between servings of alcohol and lots of hydrating liquids afterwards: Drinking water, fruit juices, or tea will slow down your consumption of alcohol and, perhaps, encourage you to consume less, since you'll get "fuller" faster. It's also the best way to avoid or recover from dehydration. Sports drinks may help replace lost electrolytes and salt. Eat fruit or drink fruit juices or a salt-glucose solution: This may provide hydration and decrease overall symptoms. Eat bland, complex carbohydrates (breads or crackers): These will raise blood sugar levels and have the potential to decrease nausea. Sleep: This will, obviously, address fatigue symptoms. Aspirin: Can relieve muscle pain and headaches - but may further upset your stomach. CAUTION: Avoid acetaminophen (such as in Tylenol, Aspirin Free Anacin, etc.). Acetaminophen interferes with the body's ability to metabolize alcohol toxins, increasing the risk of severe liver toxicity/damage. A special note about Coffee: A legendary antidote for hangovers, coffee is in fact, a poor choice for most people. If someone normally drinks a lot of coffee, there is no reason to magnify hangover symptoms by throwing caffeine withdrawals into the equation. On the other hand, coffee constricts arteries and is a diuretic, like alcohol, so it can contribute to dehydration. Not all people respond to alcohol similarly. Some people may experience a hangover after just a few drinks while others can drink heavily with no apparent discomfort. 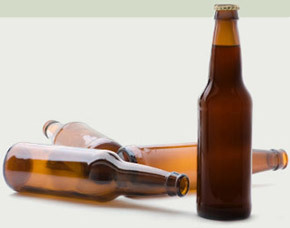 75% of us, however, will experience a hangover after drinking to the level of intoxication. Unfortunately, the only certain remedy for a hangover is time. The good news is, remembering the misery of past hangovers may cause you to think twice before overindulging in the future. I saw this hangover cure mentioned in Prevention magazine just today: a strong cup of black tea with honey. They say the caffeine in the black tea may help relieve headache pain because it constricts blood vessels in the head and the honey helps break down alcohol (which surprised me -- I wonder how, exactly, it helps your body metabolize alcohol faster!). I guess it's worth a try since, if nothing else, the tea probably helps hydrate the body. Check this out. Drinking Sprite soda may be the secret elixer for hangovers.